So many smart devices have been released over the last few years, it can be mind numbing. 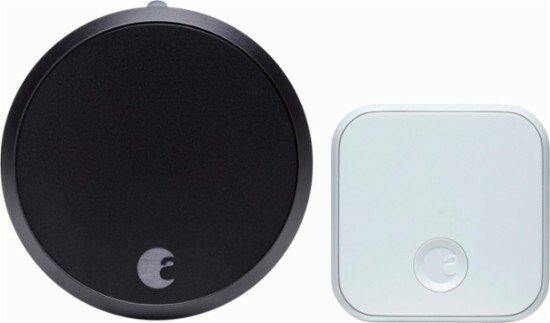 Smart locks, noise level controller, doorbell cameras and more. Smart locks have been around for a while but you’re starting to see the technology rapidly change to meet the needs of Airbnb, HomeAway and other short-term rental platforms. As a host, you must decide what personally works best for you, but a smart lock does provide some excellent features for both guest and host. 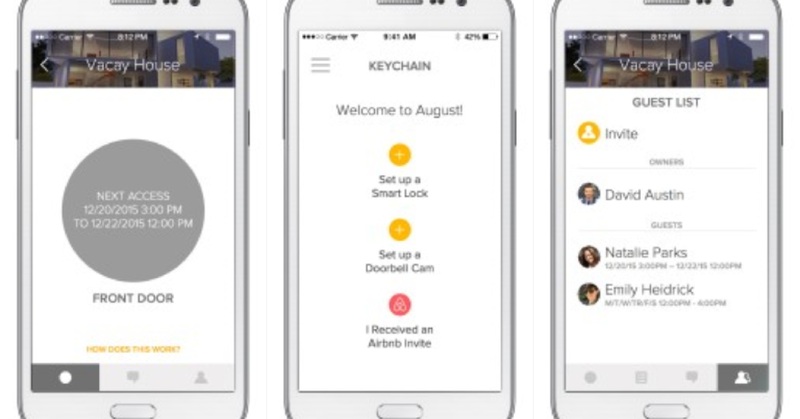 August has been making smart locks for a while now, with mixed reviews but with the release of the 3rd generation, short-term rental hosts are starting to take notice. While it doesn’t do everything, or handle every possible situation, it can make life easier for a host. The August lock comes in 3 different versions. If you’re investing in a business the difference in price makes it worth buying the Smart pro with + connect. The plus connect feature allow you to check if your door is locked and lock or unlock it remotely from the app. It pairs with Amazon Echo and Alexa as well as Google home and assistant. It’s a clever feature and for an extra $50.00, is well worth the difference in price. The installation is simple and takes about 20 minutes. Connecting to the application takes a few minutes for setting up your account but remember, this is security and it’s important to get it right. Once set up you can quickly lock and unlock the door with your smart phone. I haven’t heard much praise regarding the Bluetooth features but in my opinion it’s a great feature. What happens if the wi-fi goes down? Using a Bluetooth code can save you a trip out to your property to let in a guest. Through this application you can assign your friends, guests, and housekeepers a code that allows them to access the house for a certain length of time. You can let the housekeeper in from 1-4 in the afternoon or your neighbor when you’re out of town. Why is it good for a host? August has what’s called a host assist program which integrates with Airbnb, giving your guess secure virtual keys. When a guest makes a reservation, they will receive an email linking to download the application. Once downloaded and installed the guest can create an account and choose the option “I received an Airbnb invite”. From there the guest can link the Airbnb and August accounts and view reservations and get virtual keys to the property. Why is it good for a guest? Your guest doesn’t have to worry about finding a key or waiting for the host to give them access. They also don’t have to worry about losing the key which can happen. No key return to think about; when the reservation ends the key access ends as well. Of course, not everything is going to go as planned. To avoid any miscommunication, as a host, you should remind the guest in advance to be expecting an invite. Some guests might not have smart phones or might lose their smart phone during the trip so consider putting a spare key in a lockbox to avoid a lockout. A few extra steps can help you avoid having to run out in the middle of the night to let a guest in the house. While the august lock doesn’t completely replace the standard key, it can make your life as a host far easier. The lowest price for one at the time of writing this blog post is at Amazon for $269.00.